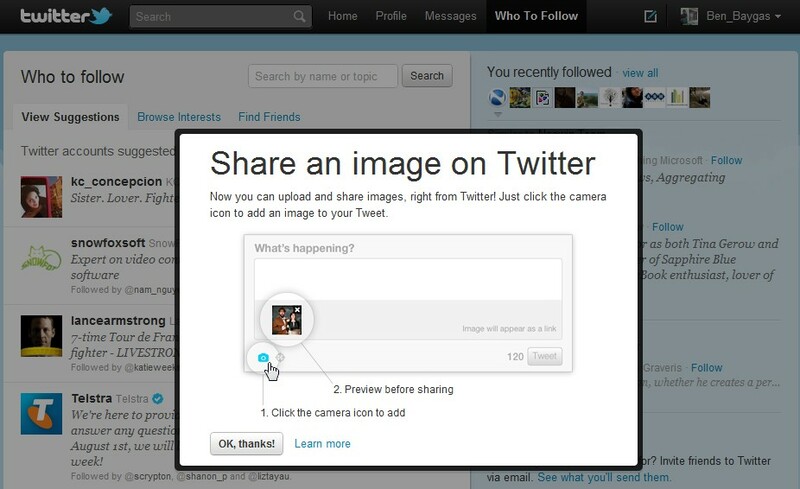 Twitter has launched a new camera button which allows its users to post a photo within the body of a tweet, without needing to use a third party photo-sharing site. Photobucket, which will host all uploaded images. Photos can be up to 3 MB. Depending on their size, they may affect the amount of text, usually up to 140 characters, that the user can tweet.